Lace up your lane shoes and add a little additional cheer to your next league tournament or bowling party! Let the liquid refreshment flow fast and free when you sell drinks early! 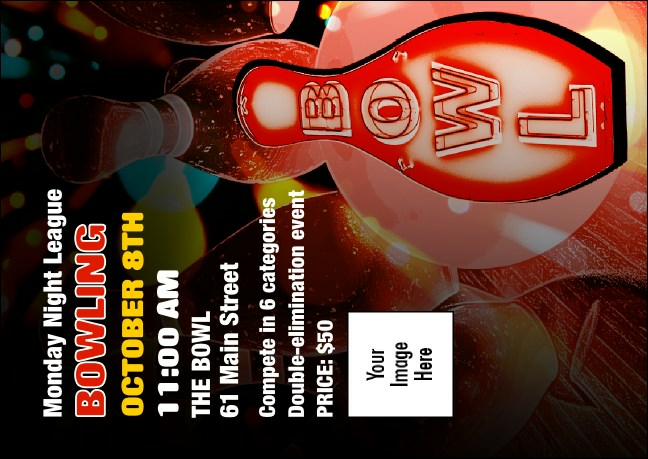 Printed in bold color, the Bowling Club Flyer features a neon sign and background image of pins being knocked down! Fill in the template below and we'll do the rest! Pick up the split with TicketPrinting.com!